It’s not every day that you’re invited on board the MS Queen Elizabeth, a 294-metre long ocean liner in the Cunard fleet. Sadly we were at Southampton Docks with a lovely view of Ikea instead of heading off on a cruise around the Caribbean. And it was drizzling. But we weren’t there for the views or the weather; we were there to try some whisky – and Starward whisky at that! Friday the 13th might be unlucky for some, but not if you follow the world of booze! It’s been an action-packed week, and we have the glorious highlights right here, right now. It’s The Nightcap! Happy Friday, folks! The weekend is here and it’s time to celebrate with something tasty. Perhaps a delish and straightforward dram. Or, as Beam Suntory was highlighting when we stopped by this week, a Highball in all its glory. Or a G&T, Daiquiri, Margarita… the possibilities are endless. And now we’re distracted. So. The tumultuous week that was. England tumbled out of the World Cup (at the semi-final stage so we’re still pretty proud here at MoM Towers), Brexit was back in the headlines (did it ever leave?! ), and the astonishing Thai Cave rescue came to a successful close (huge respect to the rescue team, and of course we remember Saman Kunan, the brave diver who tragically died while saving others). Happy Friday, team! Summer is ON (at least here in the UK) and there’s a certain football match on the agenda tomorrow… But before that comes around, it’s time to get an update from the world of booze. Bring on The Nightcap! 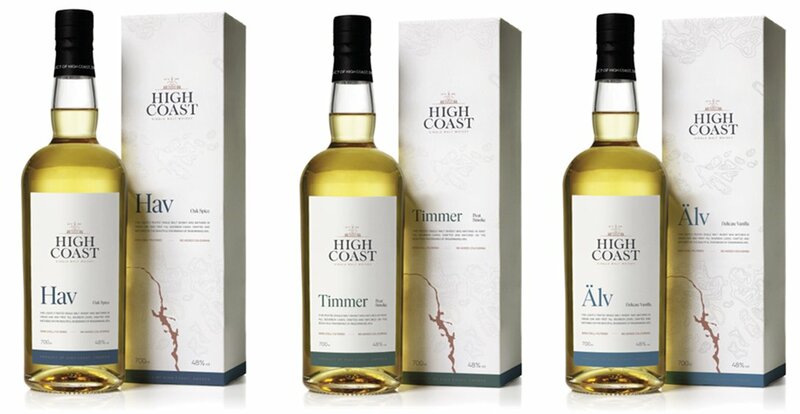 This week brought with it a new month as well as a whole new cohort of booze goings on – and of course a new Dram Club box for our subscribers, too! We took a sneak peek inside those packs of tastiness on Sunday. On Monday we looked back to Fèis Ìle 2018 when Kilchoman founder Anthony Wills shared his plans for the distillery expansion project, and got part three of Annie’s Bourbon Series – this time it was Rob Samuels from Maker’s Mark in the spotlight. The Glencairn glass has become synonymous with spirits (whisky in particular), and on Tuesday we met the family behind the business. Sales are soaring – it seems we can’t get enough fancy glassware to hold our boozes! Q&A: The Lakes Distillery’s Dhavall Gandhi! No Comments on Q&A: The Lakes Distillery’s Dhavall Gandhi! Dhavall Gandhi is a busy chap. We were planning to chat in person when Team MoM travelled to The Lakes Distillery earlier this year. We were on a mission to check out the production area, the award-winning Bistro (it’s gooooood) and even meet the on-site alpacas (top tip: they’re fluffsome but not the friendliest. But head up on certain days and you’ll be able to encounter them up close). Gandhi was called away to the US just before the visit – there were casks to check out. His trip sums up the intense focus on wood – more on that later – and meant that when we caught up on the phone shortly afterwards, there was a lot of ground to cover. As modern brand backstories go, French single malt whisky Brenne is particularly enthralling. If the prospect of organic estate-grown heirloom barley, fermented with a Cognac yeast strain, distilled in traditional Cognac stills, aged in new French Limousin oak and finished in ex-Cognac barrels isn’t compelling enough, the career path of founder Allison Parc certainly is. The New York native retired as a professional ballerina in the early 2000s, the beginning of a long journey that led her to swap Grande Jetés for Grande Champagne (well, almost).